No one wants to get rid of obsessive-compulsive disorder more than someone who has it. That's why Talking Back to OCD puts kids and teens in charge. Dr. John March's eight-step program has already helped thousands of young people show the disorder that it doesn't call the shots—they do. This uniquely designed volume is really two books in one. 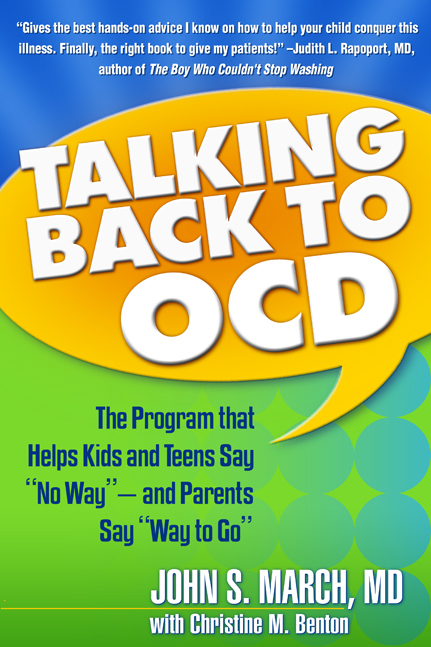 Each chapter begins with a section that helps kids and teens zero in on specific problems and develop skills they can use to tune out obsessions and resist compulsions. The pages that follow show parents how to be supportive without getting in the way. The next time OCD butts in, your family will be prepared to boss back—and show an unwelcome visitor to the door.